Aside from the amazing sights and exciting activities to try in a certain destination, food is also one of the top things travelers look forward to. It is a must to try the local food of the place you are visiting for a complete travel experience. You will definitely enjoy food tripping anywhere with your family or friends. Occupying one of the oldest buildings in the region, Stable Hands serves delectable dishes made from Western Australian produce. Located in Fremantle, this modern restaurant with a rustic interior is certainly a must-visit one. It offers mouthwatering brunch and dinner meals, yummy desserts, precision-made coffee, and flavorful alcoholic drinks. You will surely love it here, so make it a point to add this in your itinerary. Your Perth food trip won’t be complete without checking out Mary Street Bakery. This famous food spot is home to organic artisan baked goods and coffee. If you are looking for the most indulgent breakfast in town, then this might be the perfect one for you. You will truly enjoy its appetizing Asian dishes. In addition, never forget to taste its popular fried chicken on thick buttermilk pancakes. Indulge in good food with your loved ones at The Standard! This Northbridge restaurant boasts of its relaxed and breezy ambiance, huge outdoor area, and delicious menu. You will never get disappointed dining here, for it serves a wide range of various tasty meals to choose from. It is definitely one of Perth’s must-try restaurants. Looking for some Italian food fix while in Perth? Il Lido Italian Canteen is the ultimate option! Situated just off Cottesloe Beach, this old seaside bar and restaurant serve up coffee, desserts, wine, cheese, and numerous Italian dishes. It is an ideal place to dine in, especially when you want to chill out and eat nice food. Treat yourself with a satisfying seafood dinner at Wills Domain. This highly acclaimed restaurant and winery can be found atop the Gunyulgup Valley in Margaret River region. A visit here is never a waste of time for it guarantees every visitor an unforgettable dining experience. From world-class wines to locally sourced food, you have it all here. Rent a car and drive to Margaret River with your family to enjoy a great family lunch. Or you can drive with your partner for a romantic dinner around a breathtaking view. 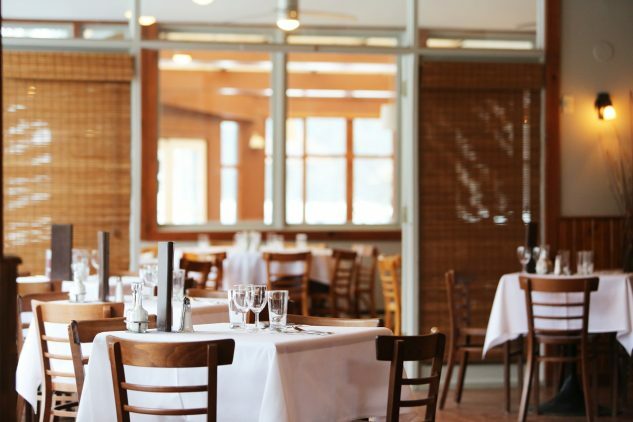 The option of great restaurants around Margaret River is large. Even, car rental company, Drivenow provides this awesome list of restaurants in Margaret River that you should visit. Check them out and maybe find the best one that suits your curious palate. Remember, food is an important element in anyone’s holiday travel. So, head over to these Perth restaurants and have a hearty food trip. Your visit here will be one for the books!